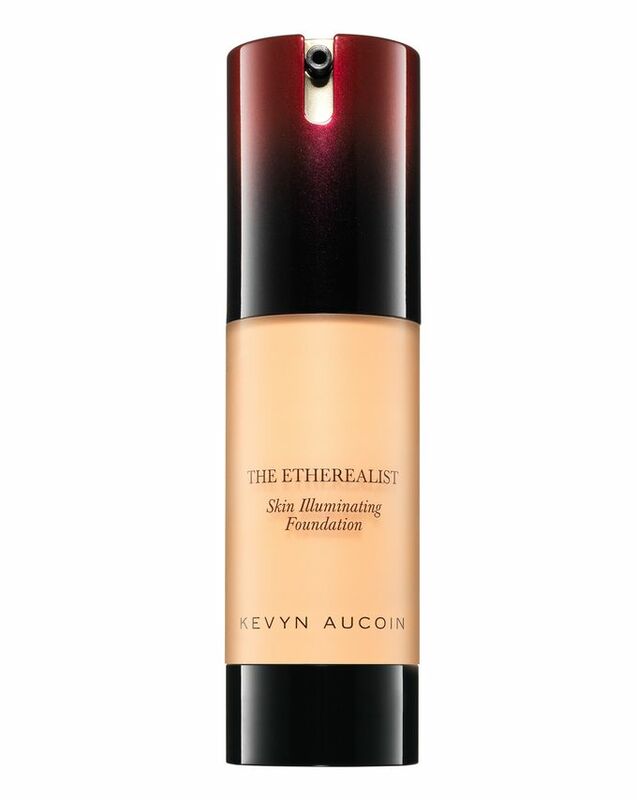 The secret to a flawless, dewy base, Kevyn Aucoin’s The Etherealist Skin Illuminating Foundation grants a gorgeous, airbrushed finish and an enviable ‘glow’. Luminescent without any tell-tale shimmer, this sophisticated formula is perfect for all those who love a ‘real skin’ feel – building seamlessly from semi-sheer-to-medium, to cater to the changing needs of your complexion. 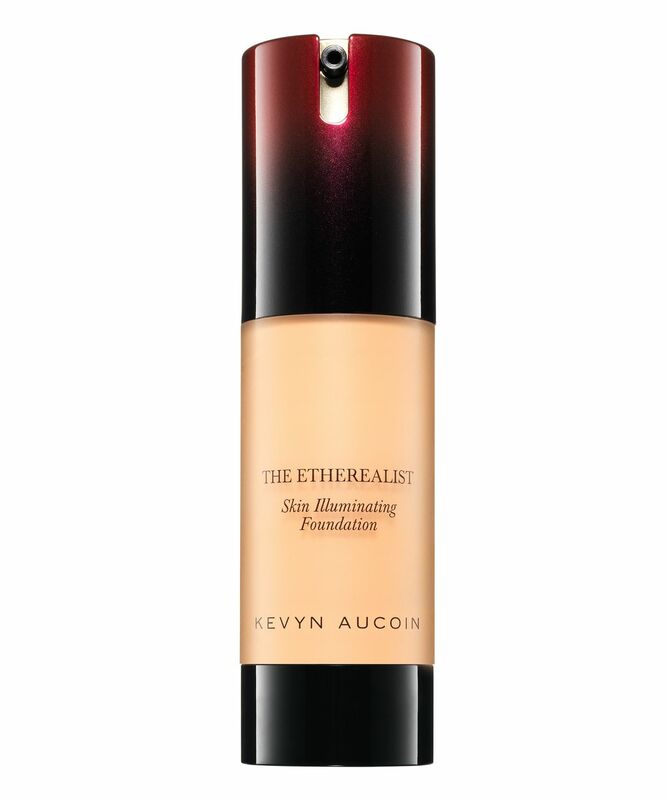 With a featherweight texture, Kevyn Aucoin’s The Etherealist Skin Illuminating Foundation is brimming with plumping and hydrating hyaluronic acid, making it ideal for all those with drier, more mature skin types. Like liquid silk, this applies and diffuses effortlessly – brightening and camouflaging imperfections with its ultra-fine pearl pigments and ‘radiance magic pearl powder’ – which work to reflect light and in turn, diminish dark circles and lend skin that beautiful, ‘lit from within’ look we crave. Available in a spectrum of colours to suit a broad range of skin tones, this can be worn alone, or mixed with a bead of The Celestial Liquid Lighting for an extra ‘shot’ of radiance. Just apply and diffuse with the warmth of your fingers, or use a buffing brush for the most polished, photo-ready finish. 1. For an even, natural look to the skin, apply to centre of the face and then blend outward. 2. For an even more luminous glow to the skin, add one pump of The Celestial Liquid Lighting in desired shade, to appropriate shade of The Ethereal Skin Illuminating Foundation. For me, it's a completely matte finish and I should use it only with a wet Beauty Blender. I don't see luminous glow or light. I never reach my other foundations since bought this. An undercover gem. Been recommending to close friends and family on getting this foundation. It makes my face looking fresh and 'glowy'. I have the driest skin in the world but it was still hydrating. It can be streaky if not applied right, I would recommend a beauty blender or silicone sponge. It leaves an amazing glow and looks very realistic. I sometimes use it as a concealer. TIP: If you don't know your colour use the foundation matrix to find out. I tend to say that Kevyn Aucoin is make up taken serious. There's nothing that really compares to it, and this foundation is another proof of that. The results are beautiful and long lasting. My new favourite foundation.